Almost one in five (19 per cent) of those planning to retire this year will do so with debts outstanding, averaging £21,800, according to new research from Prudential. The insurer’s ‘Class of’ research into the future plans, finances and aspirations of those planning to retire in the next 12 months is now in its eighth year. This year’s results show that the ‘Class of 2015’ are more likely to retire in debt than those who gave up work last year – (17 per cent of those retiring in 2014 said they would have debts outstanding when they retired, compared with 19 per cent this year). Prudential’s research has tracked retiree debt since 2011 and shows that despite some small fluctuations, the proportion of those retiring with debts outstanding has remained consistently around the one in five mark. There is a noticeable trend though that retirees’ average amount of debt has reduced over the years. Those retiring with debts in 2015 say they will owe on average £16,400 less than those who retired in 2012 – representing an encouraging 43 per cent drop in the last three years (see table below). The average ‘Class of 2015’ retiree with debts says that it will be just over three years before they are paid off – this also compares favourably with last year’s retirees who said it would take them four years. Meanwhile, almost one in 10 (nine per cent) of this year’s retirees with debts expect to take nine or more years to clear their debts, and a further five per cent believe they will never pay them off. More than two in five (43 per cent) of this year’s retirees with debts have an outstanding mortgage – another figure that has remained stubbornly high since its peak at 52 per cent in 2011. Over a half (55 per cent) will have credit card debts. On average, a female retiree with debts will owe £24,900 this year – up considerably since last year when the average owed was £20,700. Men retiring this year with debts will owe an average of £19,700, down significantly from last year’s £28,400. The proportion of women expecting to be in debt when they retire is unchanged at 16 per cent, while the proportion of men who expect to have debts is slightly higher at 21 per cent compared with 19 per cent last year. While the ‘Class of 2015’ have the highest expected annual retirement income for six years at £17,000 a year, debts remain a major drain on their finances. 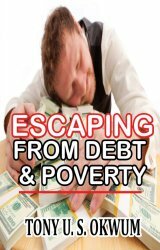 On average, debt repayments are currently costing them more than £200 a month, rising to over £500 a month for one in seven (14 per cent). Stan Russell, a retirement expert at Prudential, said: “Our new research shows a welcome downward trend in the average amount of debt for people retiring this year. However, it is a concern that the proportion of people reaching the retirement milestone still owing money is refusing to fall. For many, retirement is a time in life when it is necessary to re-assess household budgets, and any debts outstanding will inevitably make this job more difficult. A consultation with a financial adviser or retirement specialist can help people to get their finances ready for life after work. Most of us prefer to the thrill of buying now rather than saving and safeguarding our financial future, according to new research from the Skipton Building Society. But it may not be all our fault as our brains are not programmed to behave in our own best interests when it comes to money. As part of a campaign to get under the skin of the nation’s retirees, it’s been revealed this week, by Skipton Building Society, that our brains could have a lot to answer for, when it comes to the nation’s lack of preparedness for retirement. It was revealed that over 50% were feeling unprepared for retirement at 10 to 15 years out, with 30% having no idea how much money is in their pension pot. Worryingly, nearly a quarter of people revealed they don’t have a retirement plan. Overall, anxiety was evident as nearly two thirds of retirees lacked the confidence that they are financially prepared for their retirement. In follow up, Skipton, the UK’s fourth largest building society, has been working with leading neuroscience consultant and published author of best selling book‘Sort your Brain Out’, Dr Jack Lewis. Together, they can now reveal further insights from the analysis of the research data, which shows that our neurological programming could be a huge stumbling block in our pension planning. This is accentuated even further if we are not clear what our futures look like and confusion around our vision was also a key finding of the DNA of Retirement research. Most people, when questioned, described clear and inspired plans, covering aspirations from wing walking to starting new businesses. However, 64% of people’s physiological responses contradicted their stated desires. For example, what they said they wanted and what their subconscious revealed they wanted were different things. Other findings of the research were that a significant proportion of the respondents were very aspirational about their futures, and the aspirations they had for retirement were quite elaborate. However, it didn’t appear that these dreams were matched by financial preparedness, thus illustrating a HUGE risk in terms of financial stability of our futures. As part of their commitment to supporting people in and approaching retirement Skipton has launched a free Retirement Review** service in all branches nationwide, where people can call in and have a chat with a financial advisor to help them start to picture what kind of retirement they want, to then help them plan for it. They are also developing a persona app to help people visualise their future based on their own personal Retirement DNA, which will be rolled out in branch in the coming months. David Cutter Group Chief Executive of Skipton Building Society, said: “Our research has revealed some worrying trends – we cannot have a country bursting with aspiration whose hopes will then be struck down by apathy or aversion to financial planning. Skipton, the UK’s fourth largest building society, is keen to gain a true understanding of people’s retirement wishes, in order to be able to help them realise their goals, in line with its new Retirement Service.Skipton is currently offering a free will for anyone who has a free Retirement Review in any of its branches. Just two in five (42 per cent) couples over the age of 40 in the UK have made arrangements to ensure that one partner will continue to receive a retirement income after the other dies, according to new research from Prudential1. Women are most at risk, with nearly one in five (18 per cent) planning to depend entirely on their other halves for their retirement incomes, compared with just two per cent of men. The insurer’s annual Couples’ Conversations study, which provides insights into the finances of co-habiting couples over the age of 40, also found that joint retirement planning discussions have declined over the past twelve months. Nearly half (47 per cent) of couples have never discussed the impact that one partner’s death could have on their current pension arrangements – a 13 per cent increase since last year. 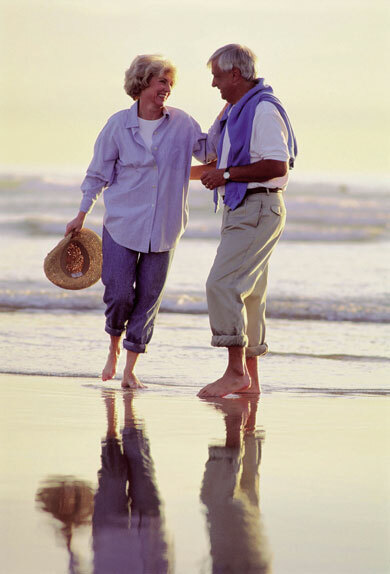 Couples in the North East are the least likely to have made joint retirement arrangements. 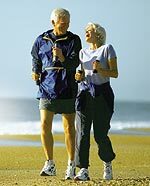 Almost two thirds of couples (65 per cent) in the region admit to not having made plans to ensure they will continue to receive an income in retirement, should they outlive their partner. Those in the Eastern region are the most savvy when it comes to financial planning, with nearly three quarters (72 per cent) claiming to have some arrangements in place. 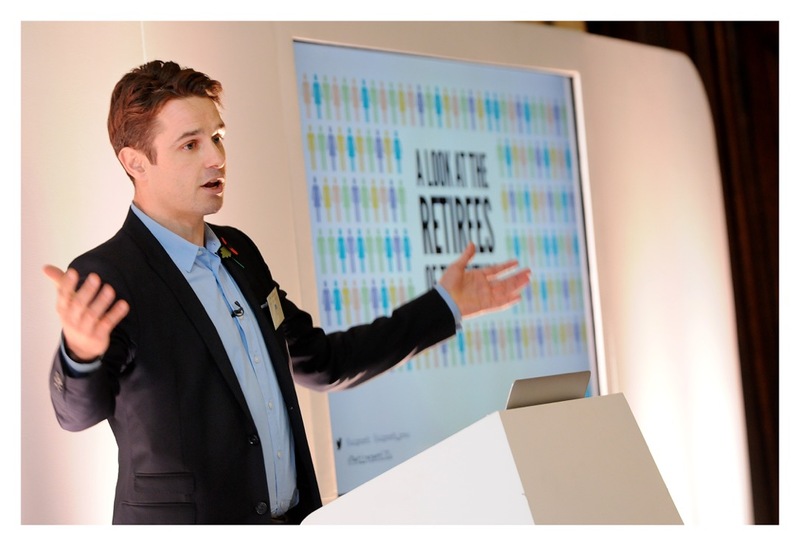 Vince Smith-Hughes, retirement income expert at Prudential, said: “When a couple is planning for retirement, it is understandable that they would want to focus on the positives – like what they will use the extra time for. “However, putting some time aside to discuss sensitive issues, like life after the death of your partner and the financial implications that it might have, is a vital part in ensuring the right financial arrangements are in place for the future. These conversations are especially important for those who are planning to rely on their partners for their retirement income. The study shows just one in five couples (20 per cent) have shared pension saving arrangements, while 65 per cent have their own individual arrangements. One in ten (11 per cent) have made a will but won’t have any other financial arrangements in place should they find themselves in this unfortunate situation. British nationals planning to retire abroad are being warned to learn more about their destination before moving by the Government’s Foreign & Commonwealth Office. With six million British nationals planning to head overseas when they retire, the FCO is teaming up with popular TV programme ‘A Place in the Sun’ to urge UK retirees and others considering a move abroad to think long-term and plan thoroughly. According to ‘A Place in the Sun’, there has been a swing back towards more established destinations since the global downturn, with Spain, Portugal and France proving to be particularly popular – both for buying a second home and full-time relocation. For many, moving to foreign climes to settle down in a place with warmer weather, different scenery and a change in lifestyle is an appealing prospect. But there are many things to consider to help ensure a smooth transition. Despite the importance of being prepared before heading overseas, a recent survey2 has suggested that only a third of British nationals (32%) believe doing their own research is the most important thing to do before moving. Just one in ten (10%) saw their long-term financial requirements as the most important factor. James Duddridge, Minister for Consular Affairs, said: “Moving abroad can be a wonderful experience, but living somewhere new is very different to your average holiday. It’s crucial to think about the future and allow plenty of time to do your research. “A permanent or semi-permanent move overseas involves many practical and social changes. We would advise British nationals to take their time to research all aspects required for a successful move, such as the laws and customs of your future home country, the long-term financial implications for you and your family, any legal issues requiring independent advice and your current and future health needs. Remember, relocating is about more than bricks and mortar”. 2 Survey conducted by OnePoll in September 2014, from a nationally representative sample of 400 British residents overseas and 600 British nationals of retirement age looking to move overseas. Almost half of us returning from holiday with foreign currency squirrel it away with a plan to use it for the next trip, rather than bother with the hassle of shopping around for the best exchange rates to convert it back into Sterling. This is according to a survey of over 2000 holidaymakers by ICE – International Currency Exchange, the leading travel money provider. Taking the pain out of organising currency conversions back into Sterling, the ICE Buy-Back service allows travellers with left over foreign currency, to get an exchange rate quote via text. 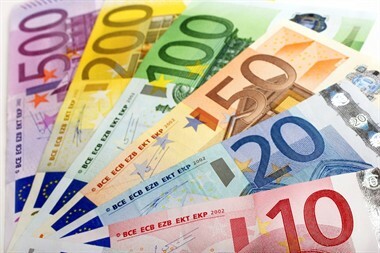 According to the ICE survey, 49% of UK travellers come home with currency and do nothing with it. In contrast, only 3% give unspent local currency to charity, whilst 12% use it to tip hotel staff**. Just under a third convert their holiday money, when they get home, while the same proportion will fritter it in the airport lounge and gift shops. Only 16% would spend it on gifts for loved ones. “If exchange rates were favourable when the currency was first ordered and another trip’s on the cards, you can understand why you wouldn’t rush to convert leftover holiday money back into Sterling. But with almost half of us hoarding foreign cash, the hassle factor probably plays a big part in the decision not to convert it back. At ICE, we completely understand this and that’s why we launched our text based buy-back service, providing a quick quote for any currency we sell – whether the customer ordered it from us or not. This hassle-free service means customers will know exactly what they will get and all they need do is pop in to one of our branches and complete the transaction. Customers should simply text SELL followed by the amount to 07786 207 053 and ICE will respond with a no obligation quote. What do you do with your leftover holiday currency? Is your pension a mousetrap? Final salary pensioners are being urged to explore options to mitigate risks posed by the growing pension deficit threat, following reports of a potential cheese share-price war in the UK. Find out at the SECRET LAWS OF ATTRACTION ONE DAY EVENT TAKING PLACE AT THE RITZ HTEL, LONDON ON SATURDAY 4TH OCTOBER. Her famous 7-step program shows how to stop struggling and start going with the flow, how to expand your willingness to have your emotional needs fulfilled, how to orient your life around your core values and passions, how to indulge in excellent self-care and how to become effortlessly successful. These advanced life coaching techniques will help you reach your goals and attract whatever your heart desires – effortlessly. The old way of reaching goals was to create a strategy with a timeline and specific action steps. v	You can have whatever you allow yourself to have .. and more! The Secret Laws of Attraction One Day Seminar in London costs £250.00 which includes a copy of the book, The Secret Laws of Attraction and luncheon. Places can be booked on line at www.uklifecoach.comor by calling 01395-271061. The timings for the day are 9am-4:30pm with book signing to follow. Delegates will be able to ask Talane any questions. The Secret Laws of Attraction is led by Talane Miedaner, Master Certified Coach, founder of www.lifecoach.com and www.uklifecoach.com and international bestselling author of Coach Yourself to Success – 101 tips for reaching your goals at work and in life, McGraw-Hill.. A leader in the cutting-edge field of personal coaching, Talane is a sought-after international speaker and coaches executives of Fortune 500 companies, entrepreneurs and business owners around the world. She is also author of the audio program: Irresistible Attraction: a way of life and The Secret Laws of Attraction: the effortless way to get the relationship you want is published by McGraw-Hill.